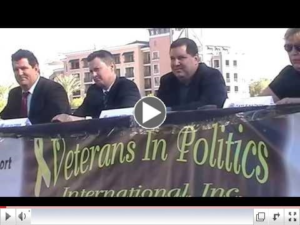 (VIPI) Veterans In Politics International, we will conduct our Endorsement Interviews for the following; North Las Vegas City COUNCIL – WARD 4, Henderson City Council Ward I, Henderson City Council Ward II, Henderson Municipal Court Judge, Department I, Boulder City Mayor, Boulder City Council, Las Vegas City Mayor, Las Vegas City Council Ward 1, Las Vegas City Council Ward 3, and Las Vegas City Council Ward 5. The location will be Fire Rock Steakhouse * Bar * Gaming (http://firerocksteakhouse.com/ ) on Saturday, February 16, 2019. Members of the public and local media are welcome to attend and admission is complimentary. 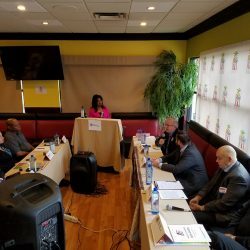 All candidates for the following municipalities have been invited to participate Boulder City, Henderson, North Las Vegas and City of Las Vegas. Below is a schedule for each seat that will be interviewed. The Veterans In Politics International takes great pride in educating the public on each candidate running for elected office. We never “rubber stamp” a candidate, all endorsements are “earned”. Come out and support your favorite candidate and educate yourself on the candidates running to be your next elected representative. For information contact Steve Sanson at (702) 283-8088. The moderator for this event is Kevin Child; former Clark County School Board Trustee. Fire Rock Steakhouse Bar and Gaming, Real Water, Michael Broadway real estate and more to be announced.